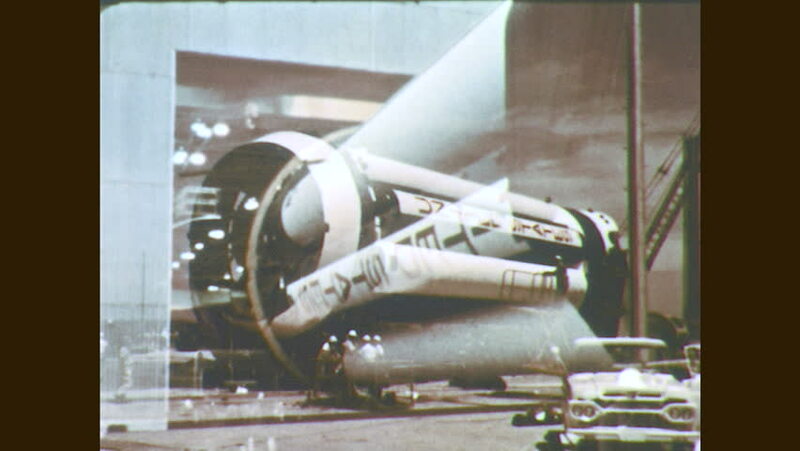 1960s: Men move rocket booster. Rocket booster on launch pad. Men inspect rocket booster. hd00:09Maine - August 2015: Product shot of shoes sitting atop of a ship deck.